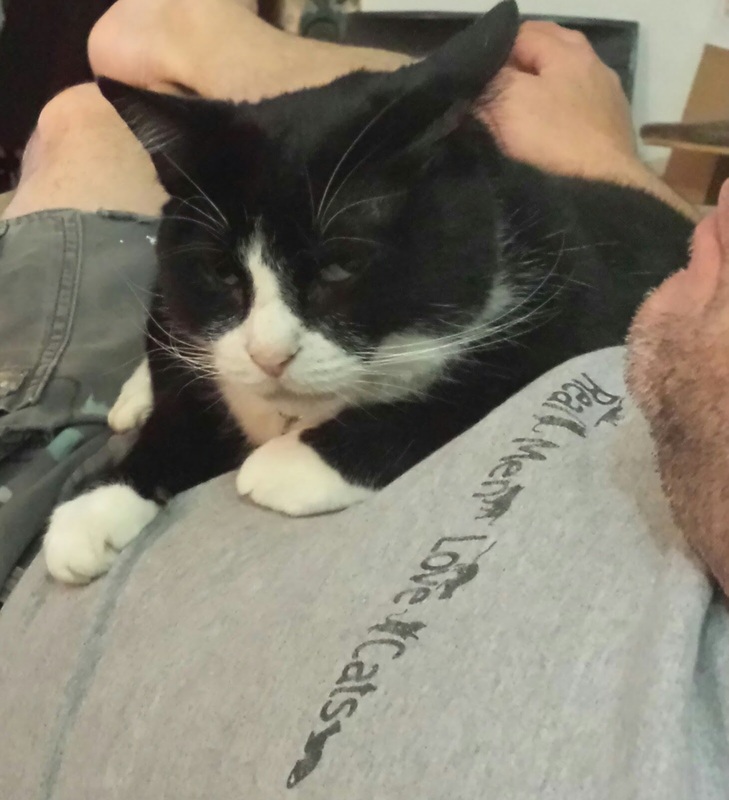 You’re loving on Finnegan, Human Daddy. And now you’re back. You want a ticker tape parade or something? Better take that up with the Woofies. Real Men love cats. Real Cats are guardedly affectionate with Real Men.